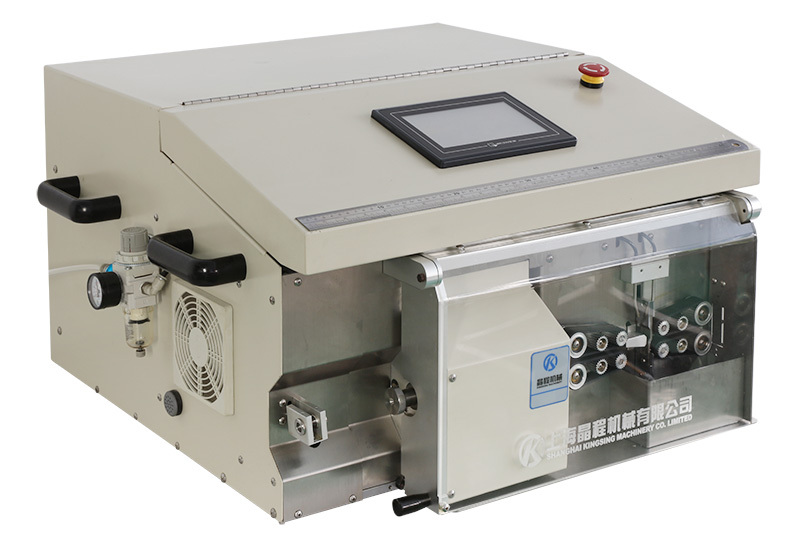 The KS-W88* Series of Automatic Coax Cable Cut and Strip Machine are designed to strip a maximum of 3 layers from Coaxial Cables. These machines have a 3 step stripping function. The KS-W88* Series of Auto Cut and Strip Machines are designed for cutting and stripping small coax cables up to 5.5mm outer diameter. The KS-W88* Series of Coax Cable Cutting and Stripping machines are also supplied with a set of guide tubes, comprehensive user manual, wire straightener, hard tungsten steel blades and a full 1 year return to base warranty. Suitable Material: Coaxial Cable, Triaxial Cable, Shielded Cable, TV Signal Cable, Audio Cable etc. Cable Size: 0.6-4.0mm O.D. 1.0-5.5mm O.D. 0.81-3.5mm O.D. Stripping Length: Min Cut Length: 18mm (with 12mm insulation, half strip).